Janice Patricia Kinney, Trivedi Global Inc.
Kinney JP, Trivedi MK, Branton A, Trivedi D, Nayak G, et al. 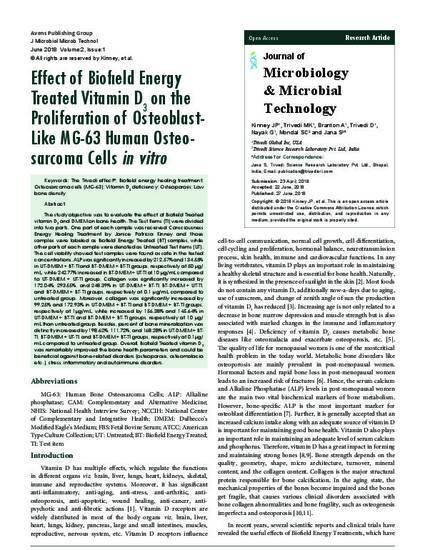 Effect of Biofield Energy Treated Vitamin D3 on the Proliferation of Osteoblast-Like MG-63 Human Osteosarcoma Cells in vitro. J Microbiol Microb Technol 2018; 2(1): 6.